ECG Interpretation | How to Interpret An ECG in 30 Seconds. ECG is the graphical representation of electrical potentials produced when the electric current passes through the heart. Before interpreting an ECG one must know details about the ECG paper, standardization and different waves in ECG. It is a matter of experience and pattern interpretation. This article deals with easy interpretation of an ECG. 1) Three bipolar standard limb leads- I, II and III. 2) Three unipolar augmented limb leads – aVL, aVF and aVR. 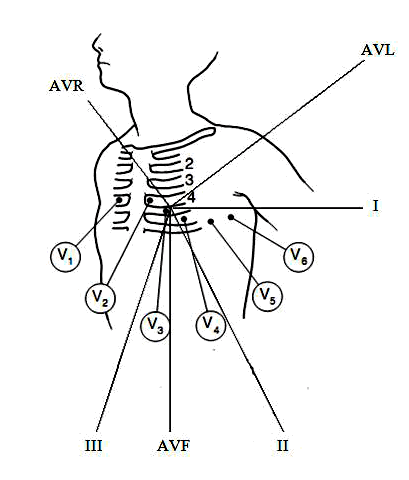 3) Six chest leads – V1, V2, V3, V4, V5 and V6. This entry was posted in Health, Medicine and tagged Abnormal ECG, ECG Interpretation, ECG Leads, How to Interpret An ECG, Normal ECG by Result Gov BD. Bookmark the permalink. it’s very nice site. i like this site. thank you for share this. go here for loan and insurance info.